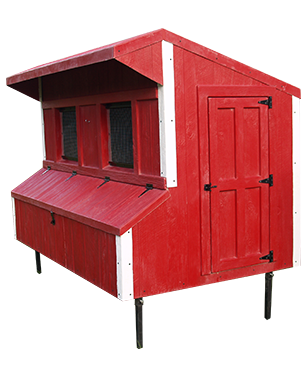 Our largest chicken coop is 8' x 5' and includes 7 nesting boxes. 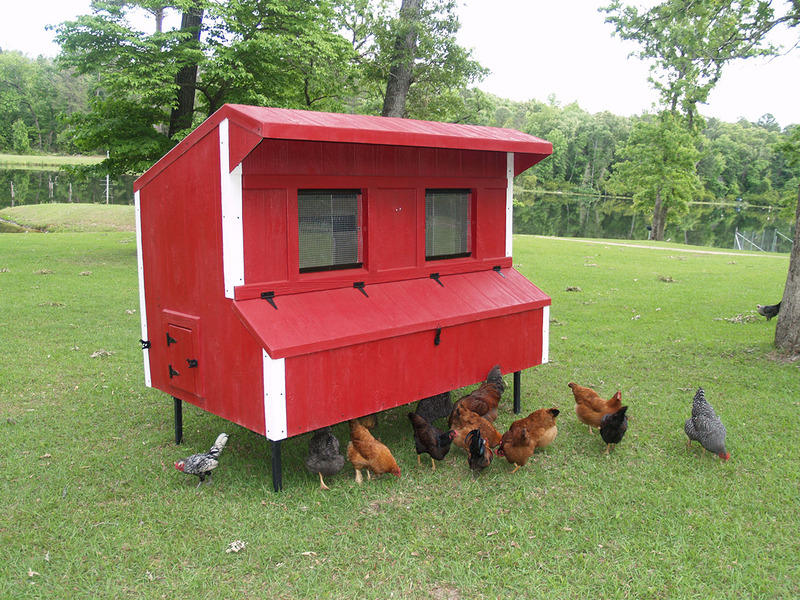 It can hold between 15 and 20 chickens and weighs only 395 pounds. 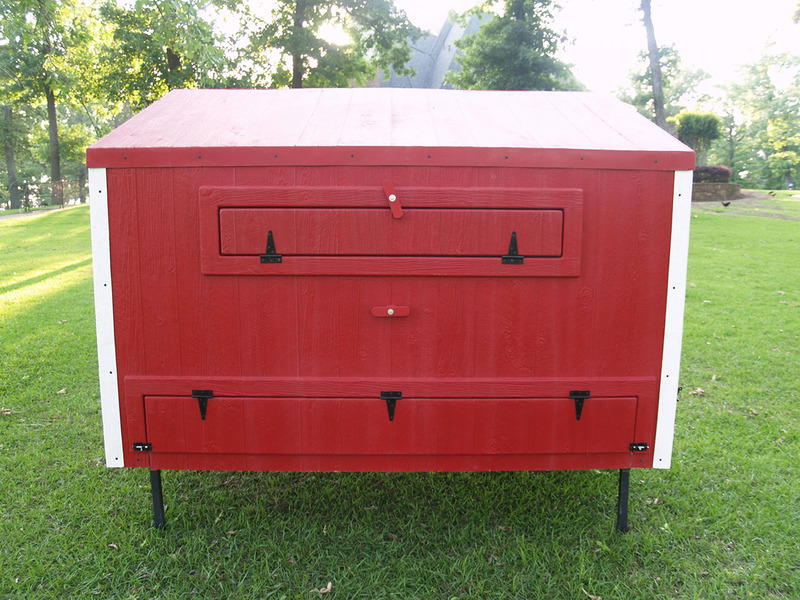 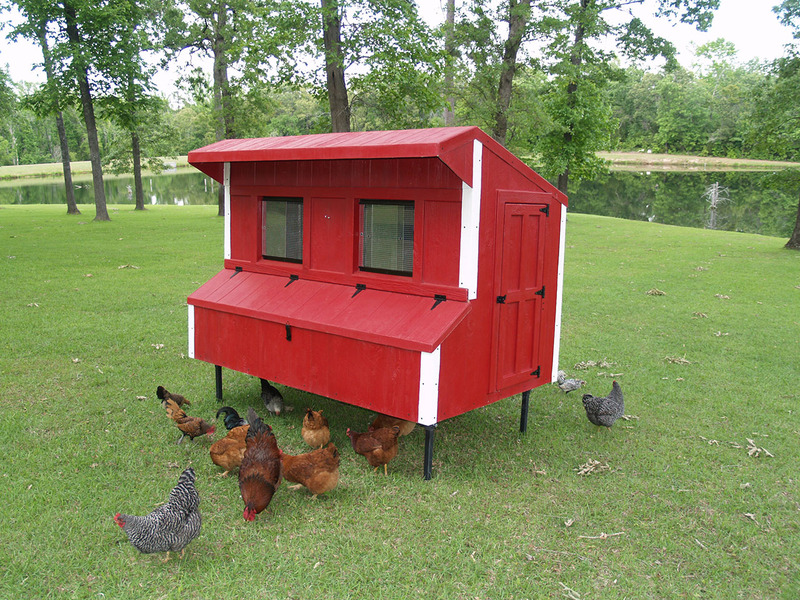 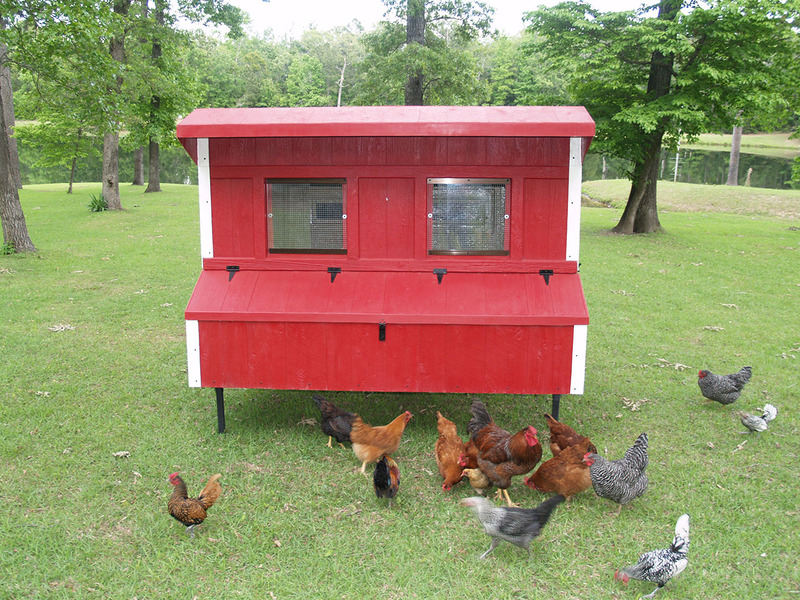 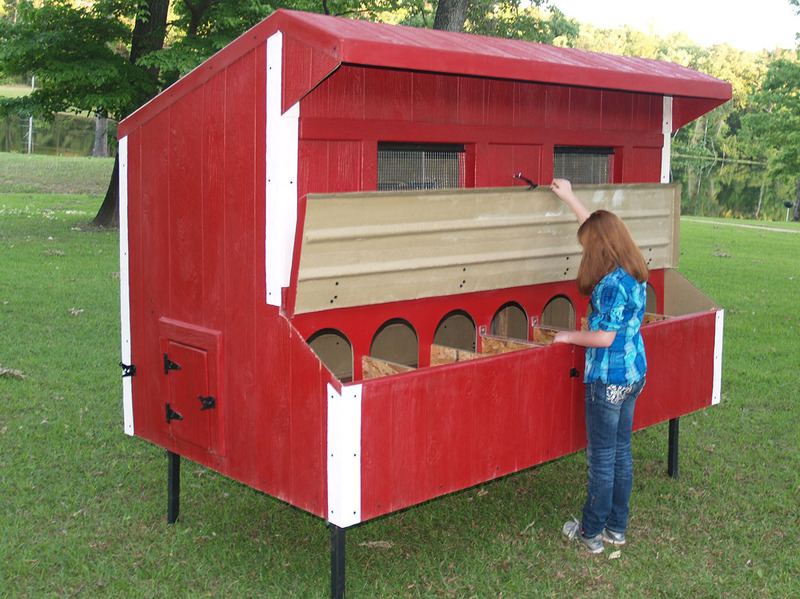 It also features a rear clean out door to make cleaning out the coop even easier.